(NaturalNews) As the saying goes: "Necessity is the mother of invention," and the need to continue eating for survival's sake during various historical famines has prompted people to come up with some interesting and innovative solutions for supplementing a meager diet. C. Davis of AskaPrepper.com recently posted an article detailing some of the ingenious dishes created by survivors of several prolonged famine periods within the past few centuries. Valuable lessons can be derived from reading about these survival strategies, particularly for those of us interested in preparing for a possible famine within our lifetimes -- one that could be triggered by anything from a natural cataclysm to a societal collapse. An important point Davis makes before listing these historical emergency foods is that, if even one vitamin is missing from the human diet, malnutrition may result in the long run. This is a key fact to acknowledge when preparing a food stockpile designed for long-term survival. Norway Famine -- Norwegians and Finns used the inner bark of several types of trees such as elm, birch and pine to make a flour that could be added to regular flour to extend it, while adding nutritional value. Bark meal is actually higher in some nutrients than rye or wheat flour and also contains fiber. The main drawback to bark meal is its bitter taste. Russian Famines -- During the Russian famines, citizens often used nettle and orache (also known as saltbush) to make soups and breads -- these wild-growing plants are rich in vitamin E. Native Americans also ate orache. 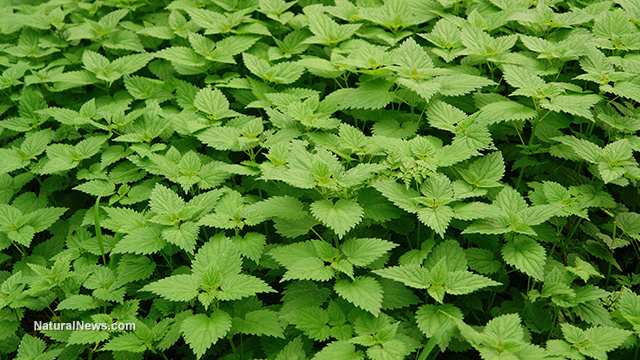 Nettle tastes similar to spinach and can be cooked and used in the same manner -- soaking or cooking stinging nettles will remove the sting. During the siege of Leningrad, the city's populace also resorted to using machine oil -- the only oil left available -- to fry bread and cakes made from orache and bran, as well as seed hulls left over from the processing of oil from sunflowers, hemp and cotton. WWI and WWII Famines -- In France, Germany and Belgium, rutabagas were commonly used to fend off starvation during the two great 20th century wars. Rutabagas are a root which can be prepared in several ways (typically they are boiled and used in soups or stews). The leaves are also edible. Irish Famine -- Also known widely as the Potato Famine, the Irish Famine pushed an entire population on the brink of utter starvation. Many died, and children sometimes went unfed so that their parents could eat to remain strong enough to keep working. People were forced to eat anything that was remotely edible -- everything from frogs and nettles to weeds and grass. Eventually, the British government began supplying the citizenry with a nutritious dish called "stirabout," which was a porridge made from cornmeal and rice. Mormon Famine -- The Mormons who relocated to the Western United States in the 19th century survived their early lean years partly by eating sego lily bulbs -- a food also eaten by Native Americans. The sego lily -- which happens to be the state flower of Utah -- was "roasted, boiled or made into porridge," according to C. Davis. Dutch Famine -- During WWII, the Dutch weathered the scarcity of food by eating tulip bulbs which were stored at the many tulip farms scattered throughout the country. The outer skin and poisonous center of the bulb were removed, and the rest was dried and baked, then ground into a meal which could be fashioned into something resembling a meatloaf. The result was not very tasty but presumably saved many from outright starvation. Sugar beets were also eaten as an emergency food staple during the Dutch famine. Ukrainian Famine -- During the Ukrainian famine (known as Holodomor) in the 1930s, people ate anything they could find -- many were even forced to resort to eating human flesh to keep from starving. Tragedies like this one are grim but important reminders of the necessity for preparing for the worst. Davis also mentions the use of the grass pea during numerous famines. The grass pea is a reliable "insurance crop," due to its ability to be cultivated even when all other crops fail. The biggest drawback to the grass pea is the fact that it causes a disease that strikes one out 100 people who eat it and which causes paralysis, but only when consumed for prolonged periods.